I’ve been an avid book reader my whole life. As a pre-teen, I devoured the Nancy Drew series after my grandmother gifted me the complete set. While others complained about having to read The Great Gatsby, War and Peace, and Native Son in high school, I relished the opportunity to discover new classic books. As a young adult, I read Danielle Steel, Janet Evanovich, and Mary Higgins Clark. After college, I became interested in historical fiction so I started reading books by Ken Follet, Dan Brown, Jeffrey Archer, Steve Berry, and Daniel Silva. Currently, I’ll read just about any genre of book with the exception being Harlequin-type books (not my thing). 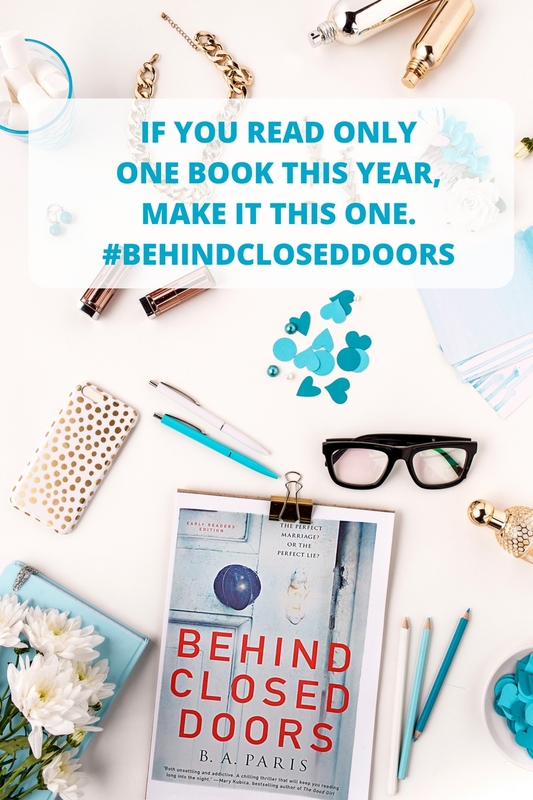 When I heard a lot of buzz in the media about a book titled, Behind Closed Doors, I knew I had to check it out. While searching for it on Amazon, I discovered it wasn’t being released until August 9, 2016 (today). Instead of pre-ordering a copy, I decided to wait until the book was released. It’s a good thing I did because a few weeks later, I received an email from She Speaks and St. Martin’s Press asking if I’d like to review an upcoming new release. When I found out it was Behind Closed Doors, I felt like I’d won the bibliophile lottery. I started reading this book at about 10 in the evening and by 1am, I was done. I finished reading 304 pages in less than 3 hours because I could not put this book down. The author B. A. Paris does such an excellent job at transforming one of the characters into a chilling and manipulative psychopath that before you know it, the hairs on the back of your neck are standing up. 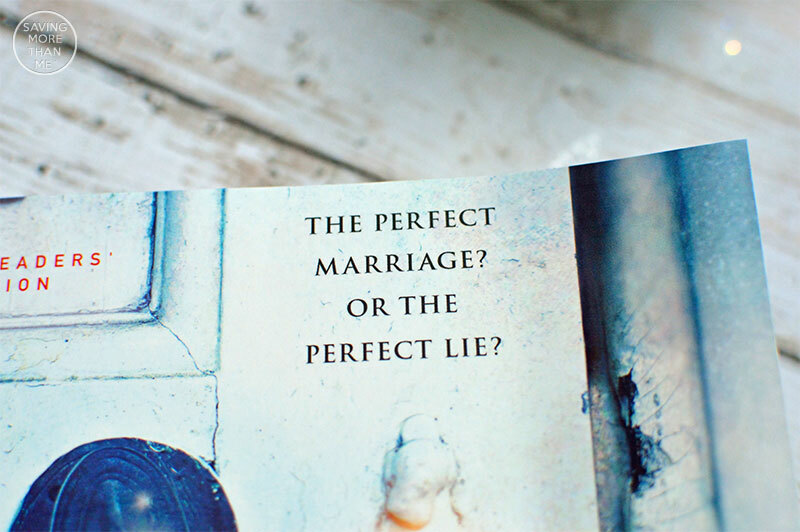 I even felt sick to my stomach at one point–an emotional reaction to what I was reading. Furthermore, this book gave me the urge to double check the locks on my doors and ensure that my cell phone and passport were nearby at all times (you’ll understand this reference once you read the book). For a book to have this effect on me, an author has to be a true wordsmith. A few important things to mention: this book contains psychological and emotional torture so if those are triggers for you, use your best judgment on whether or not you should read this book. Also, the first 30+ pages will make you feel like you’ve stepped into an episode of The Stepford Wives. Keep reading. There’s an unexpected turn just when you think you can’t handle the saccharin sweet love story of Grace and Jack anymore. It will be the book that everyone’s talking about. If you only read one book this year, make it this one. You certainly have me intrigued with your review! Sounds like a truly good book. I am adding to my Christmas list. This looks like such a great read! Perfect for our upcoming vacation! Going to add it to my reading list right now. Ooh, I so want to read this one. I love thrillers, and this would be great to take on the plane with me next week. I’m adding this to my Reading Wish List on Amazon right now! It sounds like a book I could devour quickly as well and you are making me even more curious with your “Highly Satisfying” description of the ending. I have this one! I’m taking it with me on a long trip, and I’m so excited to read it! OMG this books sounds AMAZING!! I am so getting it. this is one I could see myself reading within a day or two. thank you for the great read.